Selected Villas for rent near Taling Ngam Beach (Koh Samui) - Contact us now! 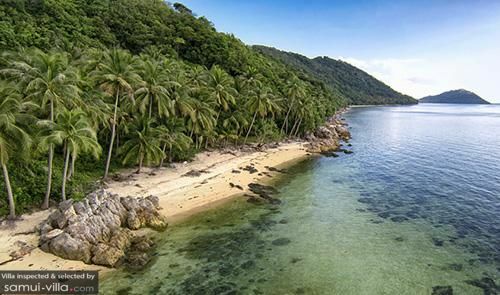 Picturesque Taling Ngam feels like a beach paradise painted upon a post card, for it is scenic, serene and secluded. The quiet shores are free from crowds, and overlooks the gorgeous coastlines of Ang Thong Marine National Park. The only company that beach-goers at Taling Ngam will find are a few odd fishermen, and the occasional water buffalo traversing its shores.